Brig. Gen. Manaf Tlass, Syria’s most prominent military defector and a former buddy of President Bashar al-Assad, is in Moscow for surprise talks with Foreign Minister Sergei Lavrov and then with Lavrov’s deputy Mikhail Bogdanov. Though Tlass is a Sunni Muslim, he commanded an elite unit of the Republican Guard, which is about 80 percent Alawite, the ethnic minority from which Assad and his inner circle are drawn. The general's father, Mustafa Tlass, was Syria's longest serving defense minister, who helped to ensure Assad’s succession to the presidency in 2000 following the death of his father Hafez. It says he arrived in Moscow “recently” from Paris, where he set up home after his getaway from Syria last July. According to Voice of Russia, powerbrokers pin “special hopes” on the general mediating between the warring sides and playing a key role in a Syria power transition. 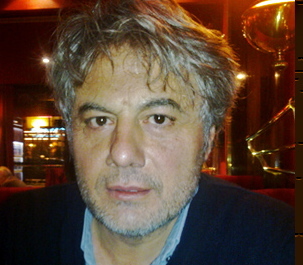 General Manaf Tlass, what is the purpose of your current visit to Moscow? The purpose of my visit to Moscow is to help find a solution to the Syrian crisis. The bloodshed in Syria must be stopped. This vicious circle of violence needs to be broken. Russia’s political weight is great enough to help find the solution. And the solution lies in dialogue replacing continuation of the standoff. What specifically is required of Russia? Russia can help preserve Syria as a state. I mean its unity, its complex structure with all the ethnic and religious minorities, its infrastructure and secular nature. The state and the regime are not the same thing. We need to save the Syrian state, but not the ruling regime. One must presume that helping to preserve Syria as a state is possible only by disassociating oneself from the current regime. The regime is trying to present the situation like there is supposedly no alternative to it other than the religious extremists or anarchy. We are saying that there is an alternative. There is a third side in Syria, which is not associated with the regime or the extremists. The majority of the Syrian people do not want to choose between these two extremes, but want to build their lives in a stable and safe country. And Russia could support the moderate forces in Syria, those who favor the happy medium. A few days ago during his visit to Moscow, Syria's Foreign Minister Walid Muallem for the first time made some important statements about his government's readiness to start a dialogue with the opposition. What is your attitude to that? I don't trust such statements. I very well know Syria's government structure from the inside. And I well remember during the entire crisis the government made repeated promises that gave hope but never fulfilled them. There has been too much lying from that government for us to believe it now. In any case, there is the key precondition for the beginning of the dialogue – it is ceasefire in Syria. The warplanes need to stop bombing. The missile strikes need to cease. Look – recently Scud missiles at the government’s disposal attacked the city of Aleppo. I want to express my condolences to the residents of that city that were hurt, as well as to residents of the other attacked cities. What kind of dialogue can there be when the attacks continue? How can a ceasefire be reached? I believe this can happen under the auspices of the Russian-American cooperation and, of course, under the auspices of the United Nations Organization. The parties to the conflict cannot be guarantors of the ceasefire, and the regime even less so. The leading powers of the world can act as such guarantors. But a part of the opposition is also opposed to the dialogue with the representatives of the government. What is your view on that? The opposition is for democracy, which means that there can be and must be different opinions. But there are some points that everybody agrees upon. All opposition members want this regime to leave. And at the same time all opposition forces want the killing in Syria to stop, they want the bloodshed to stop.